Glenn Beck, and much of the right-wing echo chamber, is reacting to a promo for public education that is narrated by MSNBC host Melissa Harris-Perry. Below is the promo, Beck's absurd reaction to it and Harris-Perry's colleague, Chris Hayes defense of what Harris-Perry is actually saying (as opposed to what Beck and the echo chamber hears her saying). Then, Harris-Perry's response to the right-wing reaction to this promo is conveyed and the conclusion conveys this blogger's view about progress in America toward a more perfect union, progress that Beck does his level best to undermine with brilliant, reactionary, yellow propaganda. She should have claimed that children do not belong JUST TO the parents. That would have reduced the alarms that went off in the heads of reactionaries around the nation, including the subject of this Review. This issue, as M H-P will explain below, gets to the crux of what has divided Americans for many generations. Progress toward a more perfect nation includes policies that balance the private interests of individuals and the public interests of the "collective." Another phrase that could be used instead of the "collective," is "we the people." The body of the Constitution is a document that helps we the American people organize ourselves as a government, as a collective. The amendments are mostly about protecting the rights of individuals which advanced freedom. Beck, his followers and reactionaries in general do not begin to grasp this necessary balance. 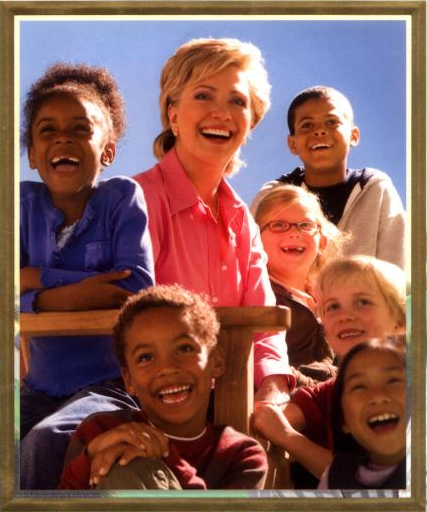 On her blog, M. Harris-Perry wrote a post "Why caring for children is not just a parents job." It's worth reading if you accept any of Beck and the other two stooges' "logic," but a video segment from her Saturday morning program is embedded below. On All In with Chris Hayes, the host covered this fake "controversy" in his "Click 3" segment on April 9th. Beck and the rest of the right-wing echo chamber distorted what Harris-Perry was saying. Side-kick Pat Grey's claim that the U.S. spends more than any other nation is not quite accurate. As a percentage of GDP, the U.S. ranks 37th in the world. More money on education will not solve the nation's problem as it falls behind other nations academically, but combined with the "best practices" from private and public schools around the country, it certainly would help. High quality teachers need higher pay, just for a start. Education reform is complex, but the right to an education is not complex nor controversial. Update, 4/13/2013: On his program yesterday, Chris Hayes had Harris-Perry as a guest to discuss this faux controversy. Again this segment reviews some of the many statements made on the right (ignoring the now marginalized Beck) about this promo. Once Harris-Perry discusses this on her program today, that, too, will be added to round out this post. Updated, 4/14/2013: This viral story has been covered in several stories on the Mediaite blog. The following is the opening to Melissa Harris-Perry's Saturday morning show on MSNBC. That narrative, laid out by Harris-Perry, stands as a counter narrative to the deceitful and extremist narrative Beck is so amazingly talented at conveying. In the remainder of her program, M H-P discussed several programs that addressed rights, beyond the right we the people have to an education. What Beck -- and too many on the far right -- do not seem to grasp is that the advance of human rights is the advance of freedom. When people have the right to health care, which Obamacare took a big step in the direction toward, they have freedom from dying of curable diseases. They have freedom from the worry about paying for huge medical bills that few people can afford in the aftermath of a serious disease or trauma. This is true for all human rights. Generally writing, the progressive left in America aims to promote freedom by advancing human rights while the near and far-right's mission is to keep rights limited to civil liberties and avoid the distribution of wealth that is necessary to implement a human rights legal order. Beck has been quite explicit about this in recent years. Beck is not just some reactionary blowhard; he is a tool of the 0.1%. It is amazing that Glenn Beck can promote the "freedom" of the supermen (the John Galts) and their corporate machines and have his gullible followers believe that he's on their side. 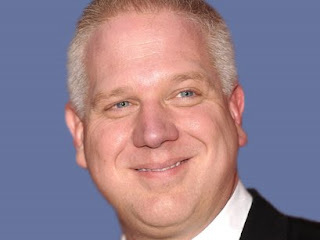 Beck is not stupid; he is a brilliant propagandist who manipulates "conservative" people to support candidates and policies that stymie the advance of freedom in the name of freedom. Go figure.